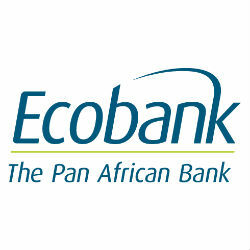 Ecobank Transnational Incorporated (ETI) and Nedbank Group Limited (Nedbank Group) jointly announced that Nedbank Group is to acquire a 20% shareholding in ETI. Nedbank Group will subscribe in cash for 4,512,618,890 new ETI shares for USD 493.4 million. ETI will repay Nedbank’s loan of USD 285 million granted to ETI in 2011 out of the subscription proceeds. In line with the agreement with ETI, the Nedbank Group will join ETI board, nominating its Chief Operating Officer, Graham Dempster, to join the board. ETI and Nedbank Group established their strategic business alliance in 2008, with the aim of providing seamless banking services across the African continent to each other’s clients. ETI and Nedbank Group will offer to their clients across the largest banking network in Africa, comprising more than 2,000 branches and offices in 39 countries.